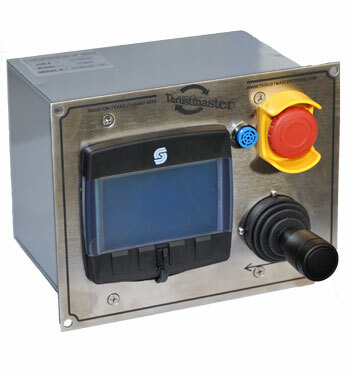 Thrustmaster of Texas, Inc. has supplied wireless remote controls for thrusters since the 1980s. We support these products through their life-cycles with upgrades that bring benefits to our customers from the latest developments in technology. With the recent advancements in electronics and data communication technologies, today’s wireless remote controls are a lot simpler, more reliable and less expensive than the old systems of the early 90s. Thrustmaster is on the leading edge of remote thruster control technology as reflected with the latest upgrades to the wireless propulsion remote control system. 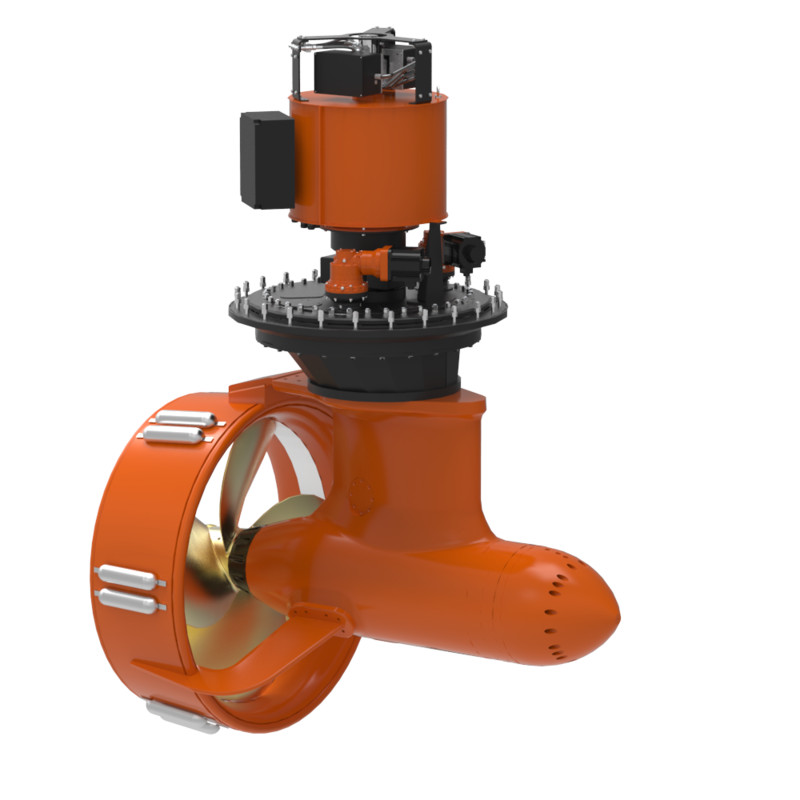 Simple and intuitive for crew to use, reducing risk of error and increasing safety. Ergonomic control levers and modern touch screens integrate easily in existing vessels as minimal space is required. The system switches automatically between normal and back-up control to provide redundancy of azimuth control, which meets FMEA requirements for DP operations. Global 24/7 product support is available from Thrustmaster’s extensive service network. 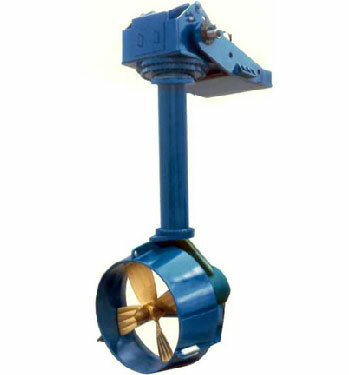 In 1989, Breathwit Marine Contractors installed Thrustmaster’s wireless propulsion remote control system on a towboat. The controls allowed the towboat pushing the barge tr ain to control an azimuth thruster on a bow boat. The bow boat at the very front of a large barge train, which is traditionally unmanned, now gains pinpoint precision propulsion through river bends and turns thanks to the remote control system. Only when the bow boat was used as a fleet boat, switching barges through the locks one-by-one and when assembling a barge train or taking it apart at the loading docks was the towboat single-handedly manned on the bridge with the wireless controls switched off. 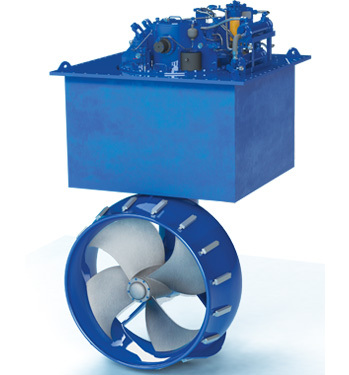 In 1992, Thrustmaster supplied a swing-up azimuth stern thruster to Matson Navigation in Hawaii for their ocean going barge the “Waialeale,” a special ro-ro barge, to carry containers, trailers, autos and heavy equipment. 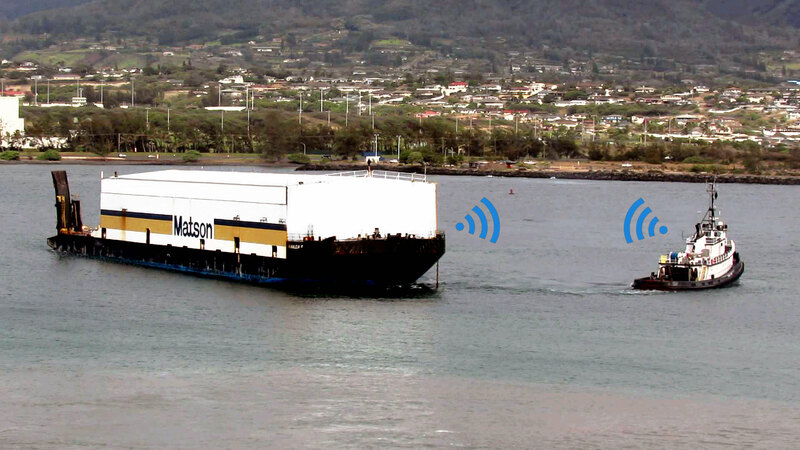 The Waialeale was equipped with a wireless propulsion remote control system in the tug towing the barge between the Hawaiian islands. Fast forward to today and you’ll find the Waialeale continues to efficiently employ the same reliable control system without issue during its operations. 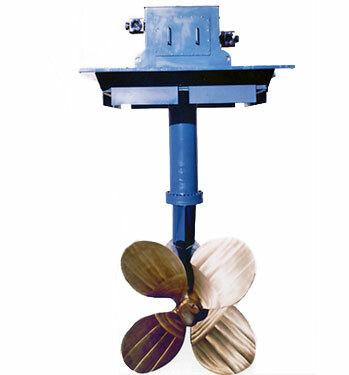 A drop-in style bridge control panel is provided for recommended installation in the bridge of the vessel. 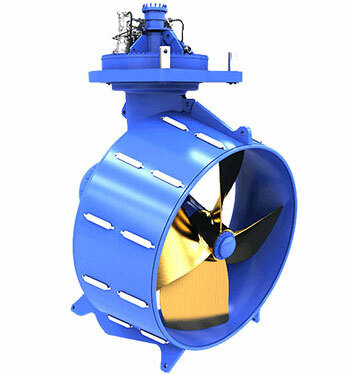 The control system is electric over hydraulic based on 24 VDC supply. The panel provides all operating interfacing for normal functions of the control system. 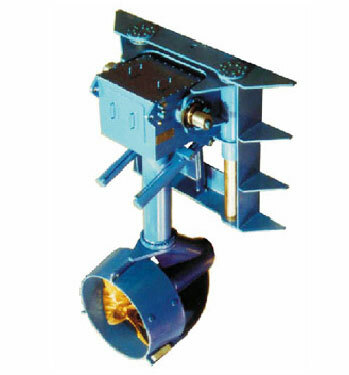 The local control panel is installed inside the hydraulic power unit for each thruster and provides for thruster steering, raising and lowering operations, alarm annunciation, and digital display of operating parameters. Wireless communication can be achieved between Local and Remote control panels using a wireless transceiver, which is a 2.4GHz wireless data link, without the need for interconnecting wires. 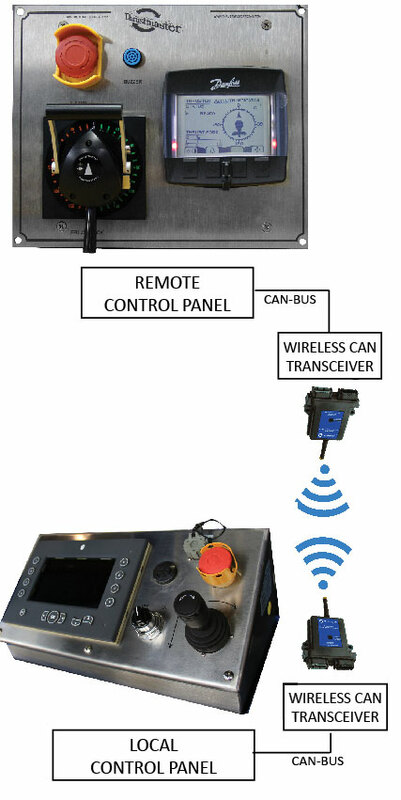 The wireless module transmits and receives all CAN messages present on the CAN-BUS just as if they were connected with wires, providing dependable control and fast performance. Communicates over long ranges, 1,500 ft to 2,500 ft ( 460 m to 762 m). 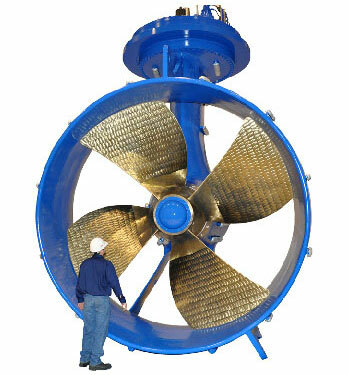 Reduces field service and maintenance costs.